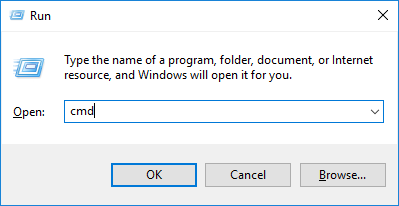 First, you'll want to open the Run dialog (⊞ Win + R) and type cmd (this is the shorthand for Command Prompt). Press Enter or click the OK button to open cmd. Next, type tracert YourServerIP; replace the YourServerIP with the destination provided by our support team. This will normally be your server's IP address. Press Enter to begin the traceroute. Once the traceroute has completed, click inside the box, left click and hold from the top left to the bottom right of the Command Prompt window so that the text from the traceroute is highlighted. Press Enter to copy the text. Finally, copy/paste the output to our support team via your support chat with our team. 2     *        *        *     Request timed out. 3     *        *        *     Request timed out. 4     *        *        *     Request timed out.